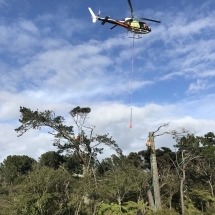 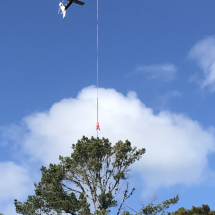 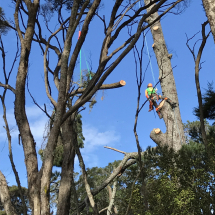 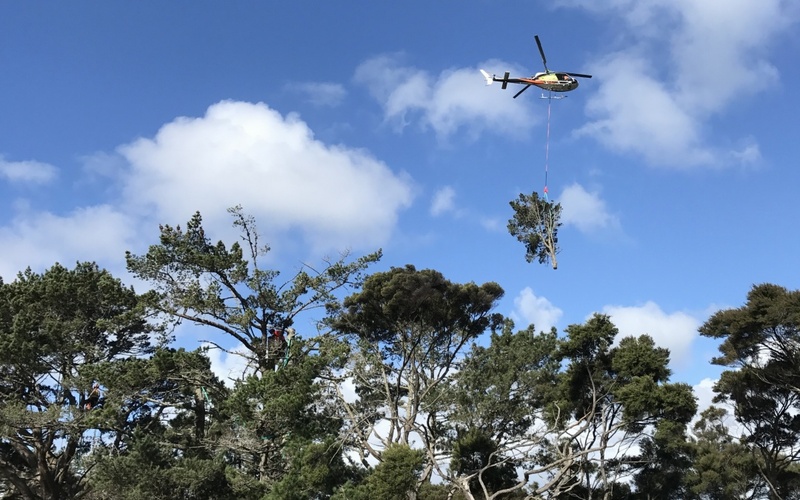 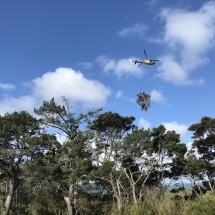 Treesafe removed 30 mature Pine trees from around the coastal hills of Hobsonville Point as part of the new development in the area. 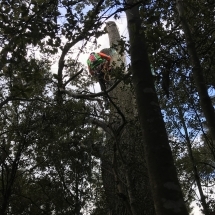 Due to accessibility issues these had to be dismantled using highly experienced climbers working in with a helicopter. 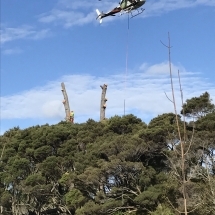 Sections of tree were airlifted to a processing site and chipped using our PC120 digger.